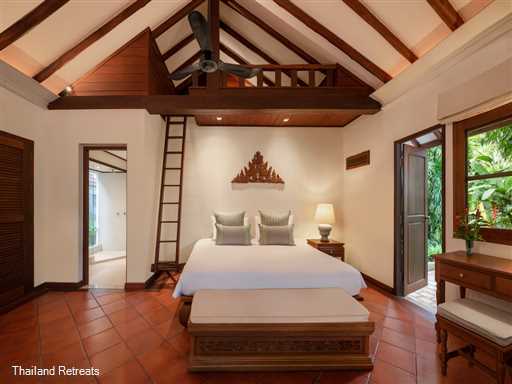 Ban Haad Sai - a lovely Koh Samui villa located on a palm fringed swimming beach close to Bophut's Fisherman's Village. 10 minutes from lively Chaweng. Restaurants, bars and tour shops nearby. Fully equipped gym. Perfect for weddings, celebrations and groups of friends. 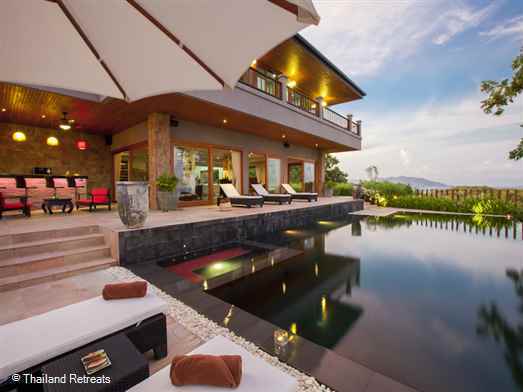 Offers rates for 7, 6, 5 and 4 bedroom occupancy. 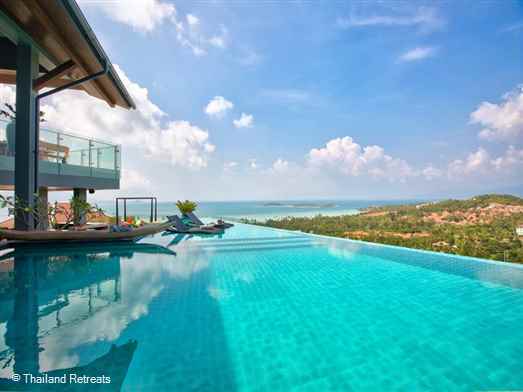 Panorama Summit is a spacious and stylish villa with sunrise and sunset views in the popular north east of Koh Samui. 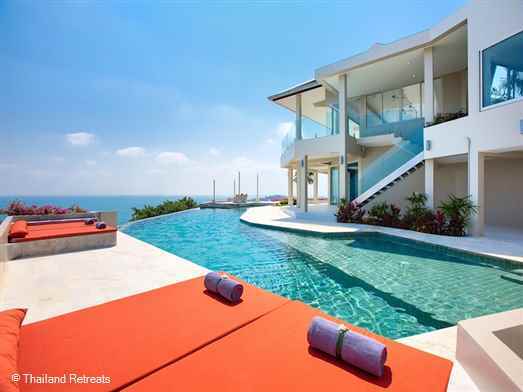 Luxuriously designed in contemporary design with 120sqm infinity edge pool. 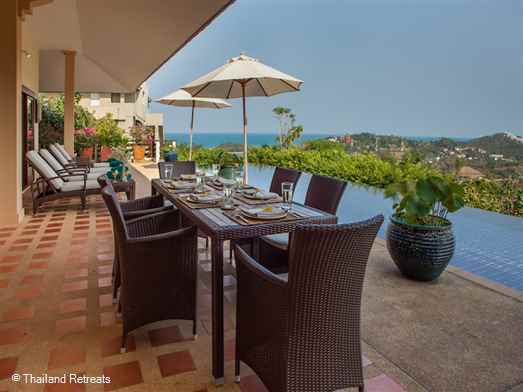 10 minutes away from popular Fishermans Village in Bophut and the lively town of Chaweng in the opposite direction. 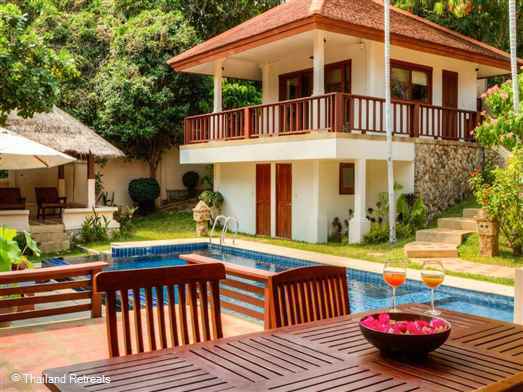 Offers rates for 3 bedroom, 4 bedroom and 5 bedroom occupancy.